Is the LC memorable? Compelling? Enough to carry a reader all the way through the plot? Does this character avoid clichés? Is he capable of surprising us? What’s unique about the character? Is the character’s objective strong enough? How does the character grow over the course of the story? How does the character demonstrate inner strength? Is your opposing character interesting? Is he fully realized, not just a cardboard cutout? Is he justified (at least in his own mind) in his actions? Is he as strong as or stronger than the Lead? Is the conflict between the Lead and opposition crucial for both? Why can’t they just walk away? What holds them together? Are the big scenes big enough? Surprising enough? Can you make them more original, unanticipated, and draw them out for all they are worth? Is there enough conflict in the scenes? What is the least memorable scene? Cut it! Now we have a new “least memorable scene.” Consider cutting it, too. What else can be cut in order to move the story relentlessly forward? Does the climactic scene come to fast (through writer fatigue to finish)? Can you make it more, write it for all it’s worth? Set a ticking clock? Do we need a new minor subplot to building up a sagging midsection? 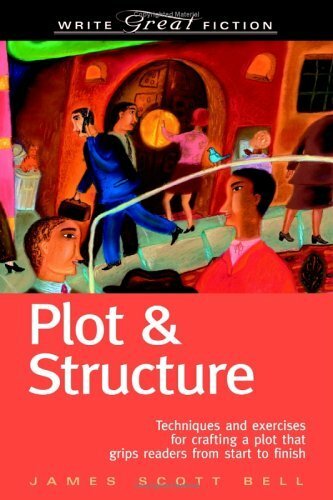 Do you need to cut a subplot to clarify a tangle of melodrama? What is their purpose in the plot? Are they unique and colorful?